Here you can find all what we know about Magnetic Scrolls Ltd. and their works. This collected information originates mainly from third party sources, so it might contain errors and is certainly incomplete. For your reference you download a plain text version of the fact sheet. 1 - About Magnetic Scrolls Ltd. Magnetic Scrolls was founded in 1983 by Ken Gordon and Anita Sinclair. From 1985-1989 their games were published by Rainbird, a label of British Telecomsoft. When Telecomsoft was bought by Microprose (UK) in early 1989, Magnetic Scrolls did not participate in the merger and took the distribution of the classic games in their own hands. They bought the remaining stock and distributed the games themselves through Inter-Mediates Ltd. until the stock was sold (see note, taken from Fish! box for the Archimedes). Here are some hints on identifying an Inter-Mediates release. During that time they found Virgin Games as the distributor for the upcoming Wonderland. When the company got defunct in 1992, Microprose bought up all the rights, but except for releasing the game "The Legacy" under the Magnetic Scrolls label, they never made any use of it. The rights on the games are held by Magnetic Scrolls Ltd. They reverted back to Anita Sinclair and Ken Gordon after some time without the games being published. Magnetic Scrolls' era started with the release of QL-Pawn for the Sinclair QL in 1985. QL-Pawn was distributed by Sinclair Research. but it intenionally carried only the Magnetic Scrolls logo and got defunct some years ago. A special member of the Magnetic Scrolls team was Murdoch, Anita Sinclair's bull terrier and in fact the corporate mascot. In 1988 Infocom had actually planned to release the sequel to Douglas Adams' The Hitchhiker's Guide to the Galaxy. When it became clear, that the inhouse development might fail due to the lack of ressources, one option discussed among the heads of Infocom was to hand over the development to Magnetic Scrolls. Eventually Infocom agreed on an internal solution, but because of the closure in early 1989 the game was never finished. From 1985 to 1991 Magnetic Scrolls released seven games. Thrilling stories, a trailblazing parser and wonderful graphics made them a true competitor to Infocom and most probably the best and most successful European adventure game company. Like almost all text oriented game developers Magnetic Scrolls did not survive the start into the multimedia age. The following list mainly describes the original Rainbird releases of the games. The later Inter-Mediates releases were shipped in the well-known Rainbird boxes, but normally they had a small label on them showing Inter- Mediates as the distributor. The included disks did not carry the Rainbird logo anymore and were just made as a white label with the Magnetic Scrolls logo, a copyright notice and the name of the game. Some (all?) Inter-Mediate packages also contained a short note rendering clear, that Rainbird was no longer the distributor and thus defective disks had to be sent back to Inter-Mediates. Since Magnetic Scrolls had only limited supplies and game props left, these packages sometimes contained reproduced materials (like game manuals with a black cover instead of the well-known blue ones). The Apple2 and Macintosh versions were only released in North America and thus only available as imports throughout Europe. The first game released by Magnetic Scrolls was QL-Pawn, the original version 1.0 of the later so popular The Pawn. QL-Pawn came on two micro drives that were enclosed within a micro drive wallet that was badged by Sinclair Research (size: 9.6 cm x 12 cm - 3.3/4" x 5.11/16"). A sleeve was also produced for the wallet along with an instruction booklet containing a short narrative to introduce the adventure. The game was text only, but it already had the powerful parser which was one of the basics for the success of Magnetic Scrolls. QL-Pawn also was the only Magnetic Scrolls game that was produced for the ill fated QL. All the ports of QL-Pawn, then called "The Pawn" had version numbers 2.0 or higher. Packaging: There are two different packages known, which can roughly be separated into "small banner" and "large banner" cover. The small banner version seem to be the early releases and are rarer than the large banner packages. Size: 15.2 cm x 21.4 cm - 6" x 8.5"
Addendum: The beautiful graphics were created with "Neochrome" on Atari ST.
Addendum: There exist at least three variants of the "Old Moose Bolter". During development, the game was named "Green Magic". Packaging: At least two different packages are known: A standard blue Rainbird box whose extents were smaller than the blue boxes before and a larger white box which was distributed on the US market. European Box: 15.2 cm x 18.3 cm - 6" x 7.25"
U.S. Box: 17.8 cm x 23.9 cm - 7" x 9"
One for the technical aspects like game loading and one gameplay guide. The Archimedes release only had one guide covering both topics. Some sources tell that the working title was "Upon Westminster Bridge", but thusiss unconfirmed. This might refer to a different game in development. Packaging: At least two different packages are known: A blue Rainbird box which was sized like the Corruption box, but it was printed "landscape" and also a larger box which was distributed on the US market (printed in portrait format). The US package calls the game just "Fish" (without the exclamation mark). European Box: 17.9 cm x 15.1 cm - 7.1/16" x 5.15/16"
This game was only available as a welcome present in the UK adventure club Official Secrets and never released to the public. It is rather rare and often goes for several hundred dollars on auctions. The game itself is much shorter than the other Magnetic Scrolls' games and contains only four graphics while the other games have about 30. Official Secrets was founded by Tony Rainbird (also founder of the British Telecommunications' label Rainbird). Packaging: The game was shipped in a rather simple card folder, printed in b/w. Size: 14.4 cm x 14.4 cm - 5.5/8" x 5.5/8"
This game introduced the "Magnetic Windows" system, featuring an graphical user interface and a slightly enhanced interpreter. Packaging: They published at least two different packages, again one for the European and one for the US market. Both packages were similiar in design, however the color scheme and the fonts were different. The US box came in two flavours of identical size: A slipcase box and and a two-piece-box. European Box: 18.3 cm x 23 cm - 7.25" x 9"
U.S. Box: 17.8 cm x 23 cm - 7" x 9"
Addendum: Wonderland was later released on CD-Rom for IBM PC. It was also part of UbiSoft's Fantastic Worlds compilation. The game version is in both cases identical to the disk version. This release contains renewed and partly enhanced versions of "The Guild of Thieves", "Corruption" and "Fish!" running in the new Magnetic Windows system. Packaging: Two known boxes of the same size as the Wonderland box, one for the European market, one for the U.S. market. The colouring ist very similar, however the box extents are slightly different. European Box: 18 cm x 23 cm - 7.1/16" x 9"
U.S. Box: 20.4 cm x 23 cm - 8" x 9"
Addendum: The Collection was later also released on CD-Rom for IBM PC. The game version is identical to the disk version. A second "Collection" with the other three classics (The Pawn, Jinxter, Myth) running under the new Magnetic Windows system was in the making. The implementation was mainly done by Paul Findley while the management was done by Ken Gordon. 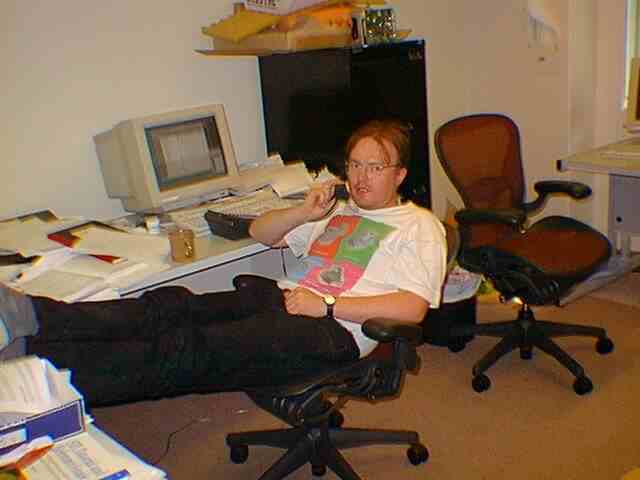 Since the development of The Legacy had already started and Ken worked at Microprose in Tetbury while Paul was working in London, the management was not all that easy. So the second collection never got completely finished although it was well underway. This horror RPG game was the last game of Magnetic Scrolls released by Microprose in 1993. Several ex-Magnetic Scrolls employees worked on it with Ken Gordon being the lead programmer. The box contained a manual, a Player's Guide and seven 3.5"-disks. It was released in slightly different boxes for the European and the the US market. The game interface was based upon the Magnetic Windows system. Packaging: Two known boxes of the same size, one for the European market, one for the U.S. market. The colouring is slightly different and the fonts differ. Addendum: An Amiga version was in the making, but never released. In the U.S. the game was also available as a special collector's edition from Radioshack. There is a small speaker inside the box that makes a creaking noise when the box is opened. A note explaining the change in distribution and a demand not to return defective disks to Rainbird, but Inter-Mediates instead. Magnetic Scrolls/Rainbird shipped the games with a manual called "Adventure Guide" that contained the platform-specific instructions to run and play the games. These guides were independed from the actual game and shipped unchanged or only slightly changed with all the classic games. The one exception is The Pawn which partially seems to have had its own batch of manuals. In contrast to the later manuals these were not called "Adventure Guide" but just "The Pawn ... guide". The Magnetic Scrolls tool chain consisted mainly of four self-created tools: fred23jr, as68, lnk, sim. Starting with The Guild of Thieves, Magnetic Scrolls used their own language to describe objects, rooms, NPCs and the properties of each object (e.g. weight, movable, burnable, container,...). These data definitions were parsed and translated into a set of assembler files by the fred23jr tool. fred23jr was developed by Hugh Steers. The assembler files constituted a subset of the 68000 assembler code. With "as68" this assembler code was compiled into an intermediate code called ELTHAM (Extra Low Tech Highly Ambiguous Methodology or alternativly Extra Low Tech Highly Ambiguous Metacode). With "lnk" all object files were merged into one game file. It was executed "natively" on ST, Amiga, QL, Macintosh and emulated on the other systems. The virtual machine used up to 64k. On 8 bit machines they used virtual memory mechanisms. On the C64 non-active pages were held on the floppy disc. Only "read-only" pages were swapped. Magnetic Scrolls had their own emulation and debugging tool called "sim". In contrast to the Infocom games the stack is part of the 64k. Except for The Pawn, the game text is stored externally. It is encoded with Huffmann algorithm. The pictures of the 16bit ports are RLE encoded. Except for The Pawn the game dictionary is stored externally. With The Pawn it is stored plainly within the 64k segment. Due to the emulation the game itself is not aware of the environment it is using. The communication between emulation and real system is done through LINE_A commands. The I/O model is quite simple. It just supports streams for input and output and routines for drawing the images. The output is much more limited than for example the Infocom output. However the simple I/O model has huge adventages when porting the games to new operating systems. With Wonderland and the Collection the communication between emulation and real system was heavily enhanced. The 64K limit disappeared. This was used to add new features to the games, e.g. the FIND (object) command in Fish! The disc protection for the Atari ST (which could only be copied with ACopy 1.2p) was realized through a BBC Micro. The ST and the BBC used different floppy controllers. The copy protection relied on some special features of the BBC controller to write sector numbers > 0xF0. Those sectors could be read with the ST floppy controller, but normally it was impossible to write the format, because these sector numbers were treated as "magic". Though a BBC Micro should not have any problems with making copies of the discs. The games are long out of print and not available through "standard" channels anymore. One alternative are the numerous online auctions like ebay or yahoo. Magnetic Scrolls' games come up there occasionally. However, sometimes the prices that are payed there are beyond rational, so you might prefer to check "Classic game specialists" first. There is a well-known seller (see 5.) with reasonable pricing. In 1997 Niclas Karlsson has published the first release of his Magnetic interpreter. This original release supported all the "classic" games including support for the wonderful graphics from the Atari ST. Later this version was extended with support for the title screens and the title music. In December 2000 the second major release Magnetic 2.0 was made available to the public (written by Niclas Karlsson, David Kinder, Stefan Meier, and Paul David Doherty), now with support for the Magnetic Windows games including the animated graphics. In March 2003 Magnetic 2.2 was released which came with support for the online hints of the Magnetic Windows games. The latest version of Magnetic is 2.3, which was released in September 2008. It adds support for the ingame music scores of Wonderland that were originally included with the Amiga, Atari ST, and PC versions. Magnetic has been ported to a variety of platforms. You can find the Magnetic ports at the Magnetic Scrolls Memorial (5. ), the development project page at Sourceforge (5.) and the IF Archive (5.). The interpreter requires the game data and the image data in a proprietary format. Magnetic comes with several tools helping you in extracting the data from your original discs. Alternatively, you can download pre built files from the Memorial pages (Please keep in mind that downloading any of the game files is technically speaking illegal if you do not own the appropriate originals of the games). The following table provides you with a short overview of the features supported by the various ports. All versions support the classic games. If a field is marked "-" the feature is not supported. If support is introduced in a specific version, that version number is indicated. Generally, it is recommended to use the latest available version for your desired platform. If a particular option is set in braces, it might be functional according to the documentation of the port, but it is unconfirmed. (*) Magnetic interpreter is part of Kronos package. (#) Interpreter features are partially implemented using web standards and thus are not using the normal interpreter data files, e.g. for graphics. If you have an option to transfer your original floppy disc to a newer machine like a PC, you can probably run the game under one of the many emulators. The games are more or less supported on many of them. Some ports of the Magnetic Scrolls games used advanced programming techniques on the various platforms, e.g. the title screens on the Atari ST were displayed in a non-standard graphics mode (requiring an emulator which supports these modes like Pacifist) or the extensive use of the floppy disc processor on the C64 (requiring an advanced floppy emulation, e.g. in Frodo). Enumerating the various emulators is beyond the scope of this document, but a good emulation starting point is at 5.. Besides there are some guides available for running Magnetic Scrolls games on selected emulator at 5.. Please refer to the Links section. 2008-04-05 Renamed "Legacy" to "The Legacy"
Added note on variants of "Old Moose Bolter"